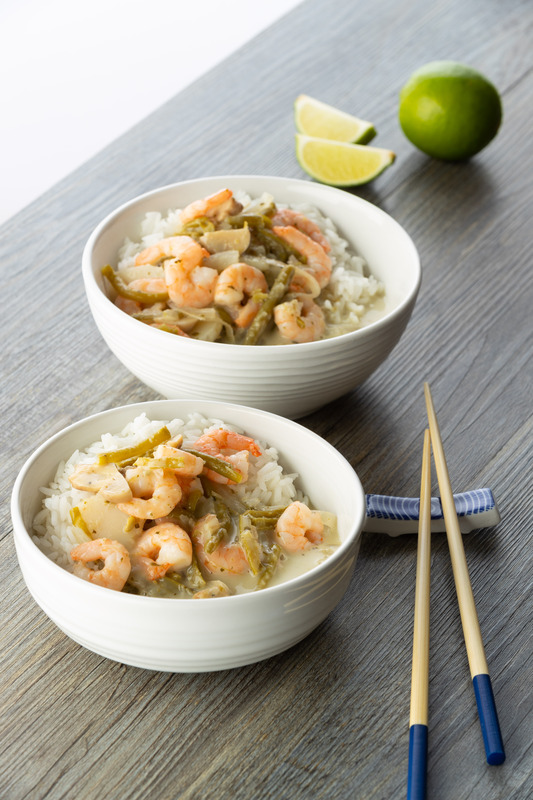 Try our new Thai green prawn curry, part of our ‘Family Fakeaway’ series! An easy and delicious recipe, using canned mushroom, water chestnuts, coconut milk and green beans. Fry the onion in the oil until starting to soften. Add the Thai green curry paste and continue to fry for 1 -2 minutes. Add the mushrooms, water chestnuts and coconut milk. Simmer for 7 - 8 minutes, until the sauce has reduced slightly. Add the prawns and green beans, cook for a further 3 – 4 minutes until heated through.